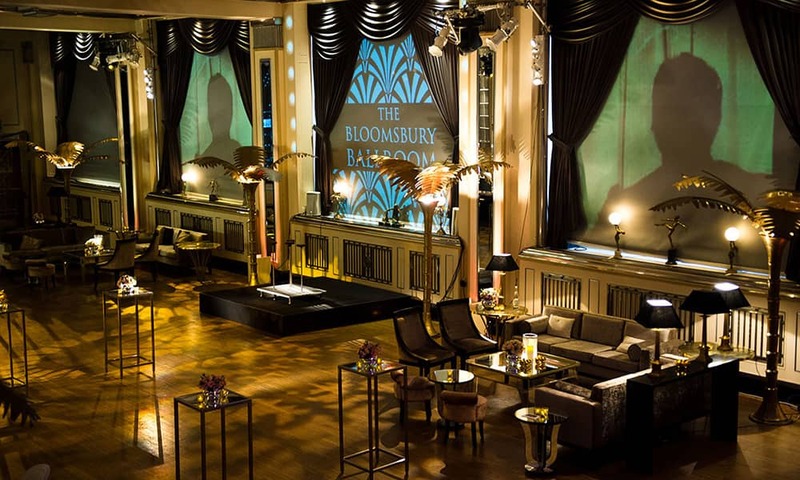 The Bloomsbury Ballroom is a Grade 11 listed venue located in the heart of Central London on the beautiful Bloomsbury Square,inside Victoria House. With the imposing Georgian inspired façade and marble entrance hall your event will make the right impression from the moment you’re your guests arrive. 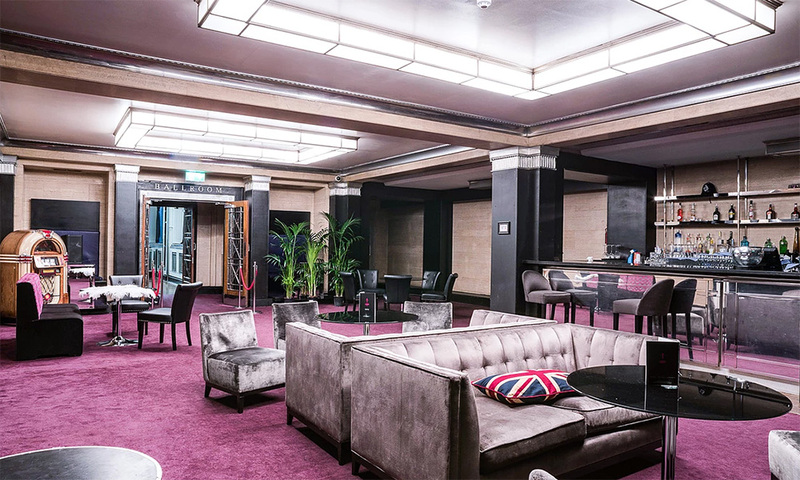 Once inside the venue we have the beautiful carpeted Crush Bar where you and your guests can be welcomed with a reception in style and elegance before moving through to the Main Ballroom. 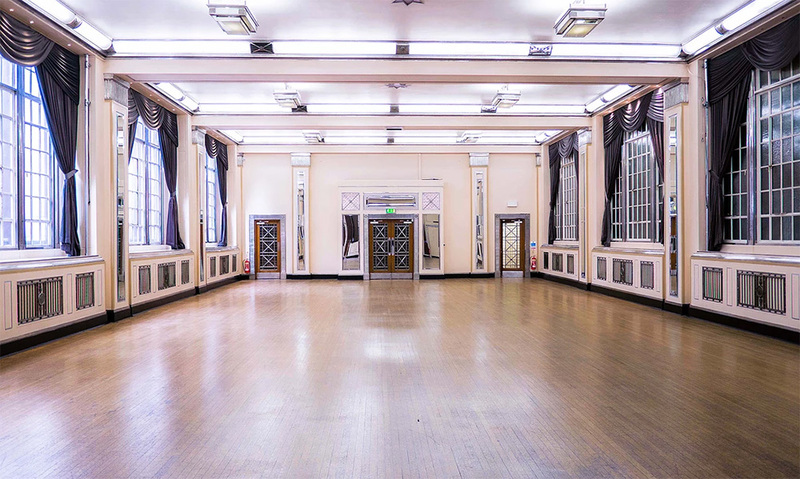 The elegance and simplicity of the stunning art deco ballroom will impress and with natural daylight available or the use of black out blinds; this flexible space is perfect for a multitude of events. 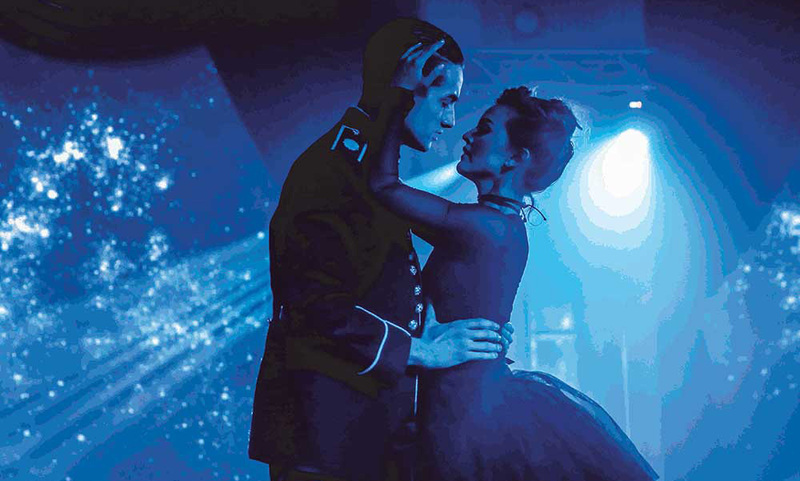 The Main ballroom also have a state of the art sound and lighting system installed and is complimentary for your use and with our inbuilt stage the options are endless. 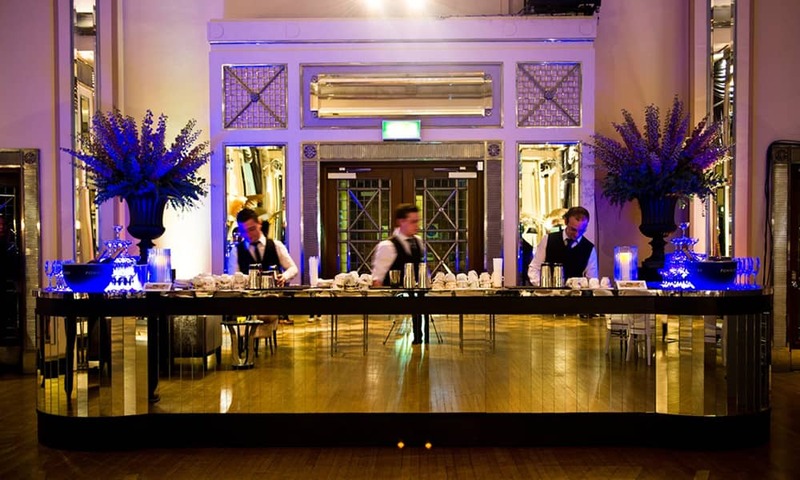 Also included within your hire is the quirky long bar which is a fantastic event space that can be used as either front of house space, for meetings or additional back of house space. 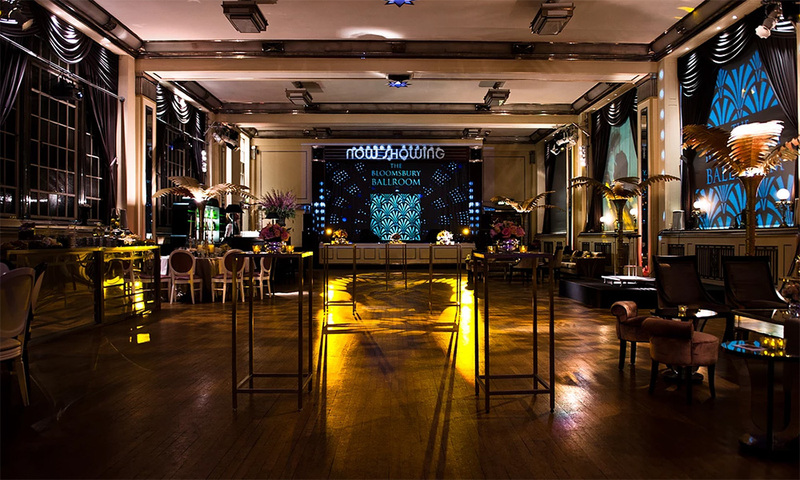 We have a dedicated kitchen space, 2 changing rooms and a production room and with a dedicated entrance for back of house staff we have ample back of house space to ensure the smooth running of your event. 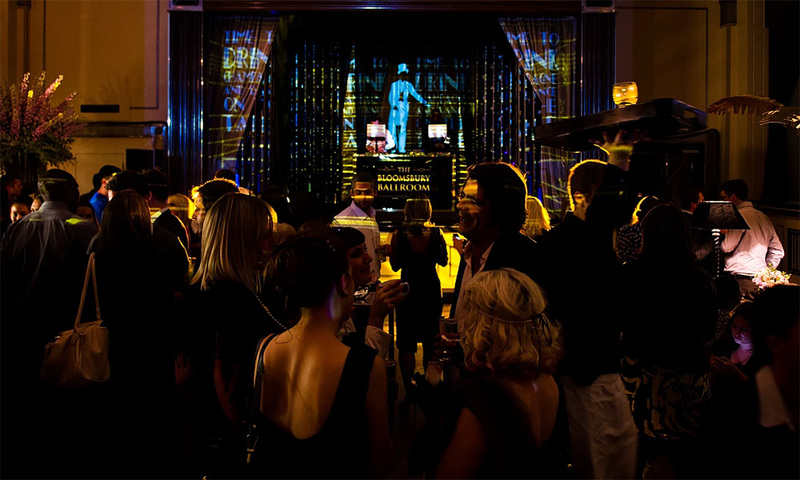 Renowned for creating unforgettable entertainment, combining performance with a luxury dining experience set in the heart of Bloomsbury. Putting on an even bigger and better exclusive production, where guests can expect a full scale spectacular, embracing the Christmas spirit in all its entirety. This year will be no different, the venues décor will be exclusively pink and white, with a magical winter wonderland theme running throughout. 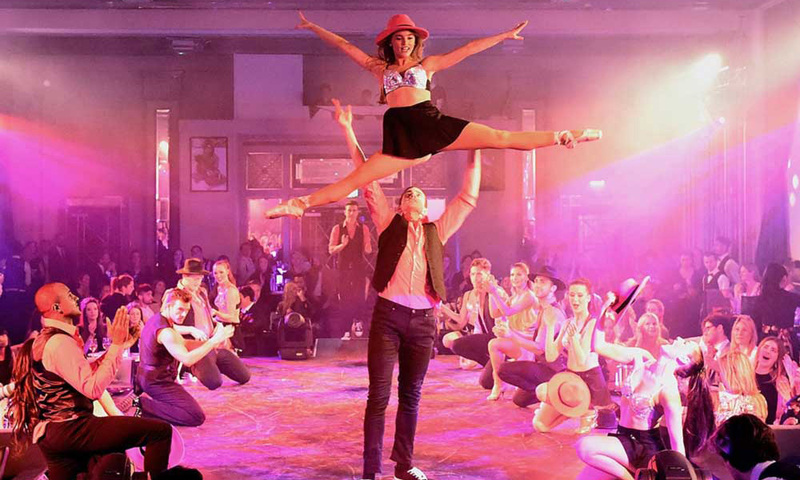 With Santa’s little helpers welcoming you at the door, guests are invited into an immersive Christmas destination, ready to embrace the ultimate festive experience with aerial artists, elves, Christmas hits, Scrooge himself and much more. Offering a range of bespoke options, guests are able to choose a package that suits them. Whether they want to enjoy the production with a few drinks, or choose to embrace the festivities with delicious dishes from the Christmas three course menu. The extensive menu includes dishes such as roast breast of guinea fowl with wild mushrooms and baby leek salad, fondant potato and lemon truffle dressing and offers traditional Christmas pudding with brandy sauce and holly for pudding as one of'the many options. 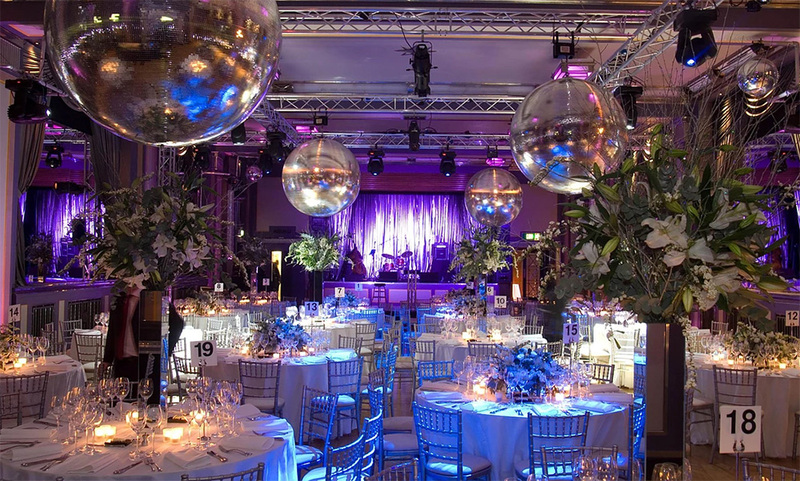 Exclusive events will appear as a magical ‘Winter Wonderland’, with options to modify the setting to fit in with their own themes and branding adding a festive twist.